Young-Hwa Yoon (Jung-woo Ha) is a radio host who has recently lost his job as a top, national tv anchor on a news station, when a caller tells him that he has planted a bomb on a nearby bridge, Yoon sees this as an opportunity to get back on television and tries to utilize this chance to further his career. This is an interesting film that asks questions, it is by no means flawless but when compared to many of the ‘thrillers’ coming out of Hollywood it is a refreshing take on the genre. South Korea has been a go-to for me for films whenever I’m feeling frustrated or bored by the usual fare. Even an average film out of there is a cut above what we are usually exposed to. Set entirely in the news station in real time, this creates the claustrophobia felt by our hero, allowing the audience to share the trapped feeling. 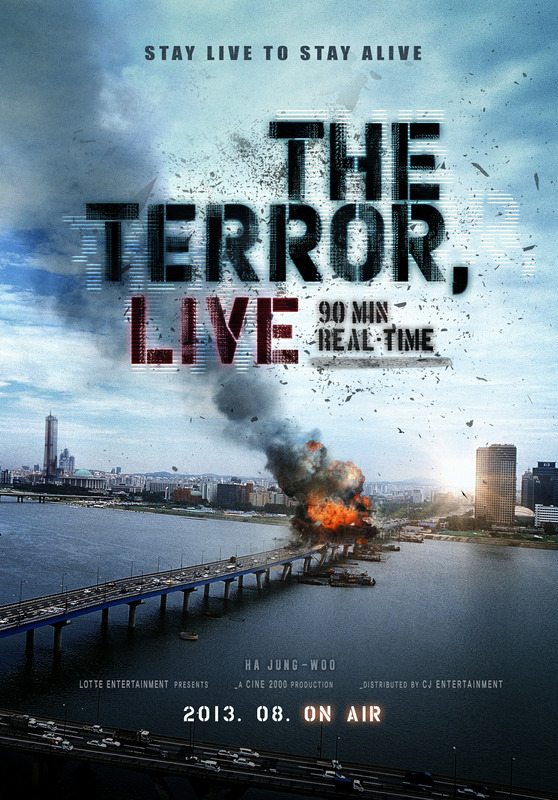 The budget isn’t massive (US$3.12m) but director, Byeong-woo Kim, utilizes it very well and economically. A welcome addition to the terrorist debate.